It takes time to figure out how to trim natural hair, just like every other aspect of your natural hair regimen. Do you struggle with how much hair to cut and how often? If you’ve been researching for a while, you’ve probably seen all the different ways to trim natural hair. 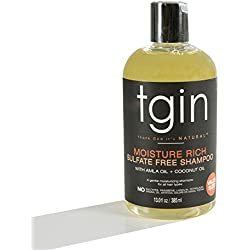 Do you cut your hair while it is wet or dry? Should the hair be in twists, loose, or stretched? The answer? Choose the method your hair likes best. You’ll need to experiment before discovering the one that works. After you try a trimming technique, evaluate how well it worked, and then try a new method next time. This article will show you different techniques so you can trim your curls with success. By the time you finish reading this post, you’ll know all about how to trim natural hair so you can take care of your ends and maintain the growth you’ve worked hard to achieve. How often you trim your natural hair depends on your regimen and condition of hair. If you always style your hair in protective or low-manipulation styles, your need for trims may be less frequent than someone who regularly uses heat or has color-treated hair. There’s no need to stick to a schedule of cutting your hair every 12 weeks if your hair doesn’t need it. Your hair will give indications if it needs a trim, and if your regimen is consistent, you may see a pattern developing as to how long you can go between trims. Ends feel dry and rough. If you’re having trouble maintaining moisturized ends, they are probably already snapping off. Trimming your ends will help you combat dryness and retain length. Hair is harder to style. The ends straggle and don’t conform to the chosen hairstyle. Cutting away damage will help add bounce and make your curls pop. It takes more time to detangle. Dry tangles lead to breakage. If you are detangling more often and it’s become harder to untangle your tresses, it’s time to trim. When Should I Trim My Natural Hair? Trim your hair when you notice the ends drying, breaking, and tangling. If you’re trying to maintain a particular cut or style, you may have noticed that certain sections of the hair grow faster than others. Don’t be alarmed. This only means that the sections require trims at different times. Plan to trim hair every 3-4 months, but remember that your hair needs could change with time, especially if you’ve changed your regimen. Be sure to pay attention and watch for damage as an indication of when to cut, instead of following a strict schedule. If you want healthy hair, you must clip damaged ends. If you are scared to cut too much, then you can micro-trim your hair to remove damaged ends gradually. Ask yourself this question: do tiny bits of hair break off when you touch it? This is an indication of weak, damaged, or split ends. You may also feel split ends as you style your hair or run your fingers down a strand. Another way to tell is by examining a hair. If you still have trouble seeing if you have split ends, you may want to schedule a visit with a trained stylist or have a friend inspect the ends for you. A haircut and protein treatment will help restore hair to a healthy condition. One of my favorite protein treatments is Aphogee 2 minute reconstructor. Now that I have color in my hair I make sure this item is always stocked in my cabinet. You need to use a pair of good shears to cut your hair. Paper or fabric scissors are not designed for cutting hair, and will only damage your ends further. 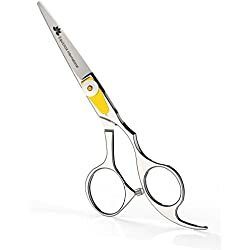 Hair shears range from $10 to several hundred dollars. The more expensive versions are meant for professional hair stylists and will last through hundreds of haircuts. If you’re only looking to cut hair a few times a year, go with a more affordable pair that has solid reviews. The Equinox Professional Razor Edge Hair Shears is a bestseller and will do the job with minimal damage to both hair and wallet. The most important part of cutting the hair is using the right shears. Even if you get a natural hair salon trim, you’ll still want to have a pair on hand for stubborn fairy knots. Avoid slanted cuts. Aim to snip at a straight 90-degree angle. Trim hair against a white background so you can easily see the damage and where to cut. The video by Klassy Kinks below highlights three common ways of cutting hair. She is trimming short natural hair in the video, but these methods work on longer hair and even on relaxed hair too. Search and Destroy Method. This refers to the practice of searching for knots, tangles, and splits and cutting them out as you go. It’s not an all-over cut or even a precise trim. Rather, it is a quick way of removing the most obvious problems you have with your damaged ends. Trimming Natural Hair in Twists. This method requires you to twist your hair and cut where the ends begin to taper and thin out. Stretch and Trim. This technique requires you to stretch your natural hair before clipping your ends. The greater the stretch, the more precise the trim. This is an excellent method for 4c natural hair. You might be wondering how to trim relaxed hair. The best approach is the stretch and trim method since relaxed hair is already stretched. Use small sections. The smaller the section, the more precise the cut. Cut only what you can see. Pull your hair to the front so you can see well. Or, if your hair is short, have a friend or relative clip the back for you. Why is it Important to Trim your Natural Hair? Trimming helps prevent damage from advancing up the hair shaft. It means less breakage and hair loss. It is better to proactively trim your ends to maintain hair health than to have to snip once you have splits and knots. If you’re trimming natural hair for growth, cut your curls frequently. It’ll be easier to retain length because you’ll only need to make minimal cuts, instead of being forced to cut away large sections of damaged hair. If it’s hard to say goodbye to your ends, just remember that it’s much easier to maintain and style hair that is healthy. Regular trims will help you keep the growth you’ve worked hard to achieve. You’ll discover the best way how and when to trim your curls as you experiment with different methods along your natural hair journey. Now it’s your turn to discuss what has worked for you. 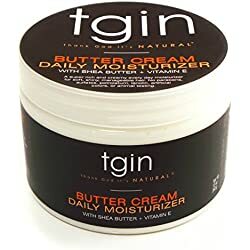 Do you have any tips on how to trim natural hair?